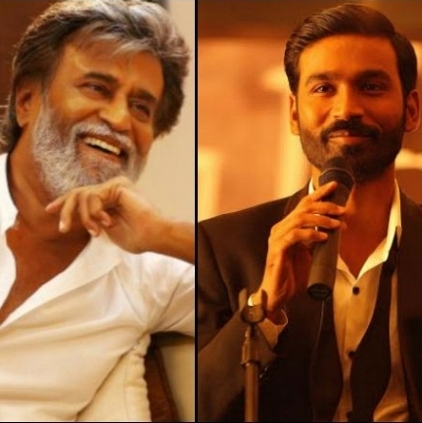 OFFICIAL: DHANUSH TO MAKE A MASSIVE ANNOUNCEMENT ON THALAIVAR 161 TOMORROW! Superstar Rajinikanth’s next project directed by Ranjith is just about to begin. The movie produced by Dhanush’s Wunderbar Studios has music by Santhosh Narayanan and a Mumbai based backdrop. The latest information that has been announced is that, Dhanush will be revealing the title of this Superstar project tomorrow 25th May at 10 am. An excited Dhanush took to his Twitter handle and said, “Wunderbar films presents.. superstar Rajinikanth's "thalaivar 161" title will be revealed tom morning 10 am .. #cantgetbiggerthanthis”. Note: Although Dhnaush had mentioned it as 161st film of Rajinikant in his tweet, it is stated to be Superstar's 164th film as revealed by his official PRO a few days ago. Samantha to take a break for 3 months? Wow! This legendary actor has been approached for the 1000 crore Mahabharata! Kuthu, jazz, lullaby and more! James Cameron sued for plagiarism for 20 year old Titanic! Action or horror? You will know soon! Piracy Issue: People arrested from theatre! Thalaivar 161 Is Not Pa.Ranjith's, It Is K.S.Ravikumar's ! People looking for online information on Dhanush, Rajinikanth will find this news story useful.